The Fugitive Slave Act, which became law as part of the Compromise of 1850, was one of the most controversial pieces of legislation in American history. It was not the first law to deal with fugitive slaves, but it was the most extreme, and its passage generated intense feelings on both sides of the issue of slavery. To supporters of slavery in the South, a tough law mandating the hunting, capture, and return of fugitive slaves was long overdue. Feeling in the South had been that northerners traditionally scoffed at the matter of fugitive slaves and often encouraged their escape. In the North, the implementation of the law brought the injustice of slavery home, making the issue impossible to ignore. Enforcement of the law would mean anyone in the North could be complicit in the horrors of slavery. The Fugitive Slave Act helped inspire a a highly influential work of American literature, the novel Uncle Tom's Cabin. The book, which depicted how Americans of various regions dealt with the law, became extremely popular, as families would read it aloud in their homes. 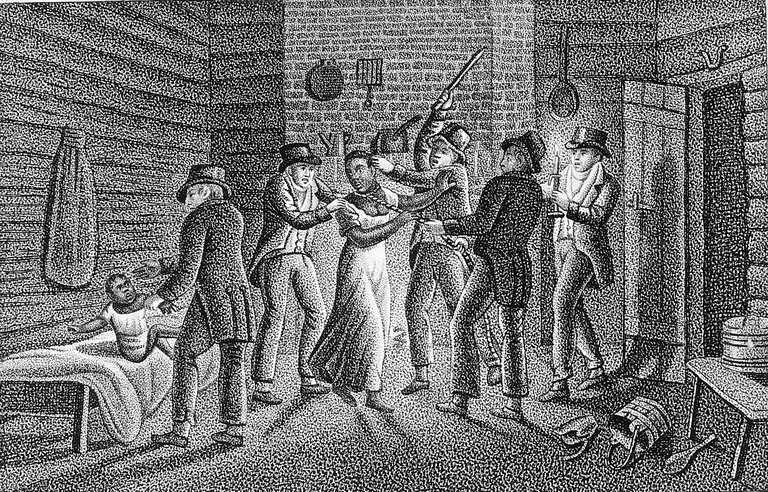 In the North, the novel brought difficult moral issues raised by the Fugitive Slave Act into the parlors of ordinary American families. Though the drafters of the Constitution carefully avoided direct mention of slavery, that passage clearly meant that slaves who escaped into another state would not be free and would be returned. In some northern states where slavery was already on the way to being outlawed, there was a fear that free blacks would be seized and carried off into slavery. The governor of Pennsylvania asked President George Washington for clarification of the fugitive slave language in the Constitution, and Washington asked Congress to legislate upon the subject. The result was the Fugitive Slave Act of 1793. However, the new law was not what the growing anti-slavery movement in the North would have wanted. The slave states in the South were able to put together a unified front in Congress, and obtained a law that provided a legal structure by which fugitive slaves would be returned to their owners. Yet the 1793 law proved to be weak. It was not widely enforced, partly because slave owners would have to bear the costs of having escaped slaves captured and returned. The need for a stronger law dealing with fugitive slaves became a steady demand of the slave state politicians in the South, especially in the 1840s, as the abolitionist movement gained momentum in the North. When new legislation concerning slavery became necessary when the United States gained new territory following the Mexican War, the issue of fugitive slaves came up. The combination of bills which became known as the Compromise of 1850 was intended to calm tensions over slavery, and it did essentially delay the Civil War by a decade. But one of its provisions was the new Fugitive Slave Law, which created a whole new set of problems. The new law was fairly complex, consisting of ten sections that laid out the terms by which escaped slaves could be pursued in the free states. The law essentially established that fugitive slaves were still subject to the laws of the state from which they had fled. The law also created a legal structure to oversee the capture and return of fugitive slaves. Prior to the 1850 law, a slave could be sent back to slavery by the order of a federal judge. But as federal judges were not common, it made the law hard to enforce. The new law created commissioners who would get to decide whether a fugitive slave captured on free soil would be returned to slavery. The commissioners were seen as essentially corrupt, as they would be paid a fee of $5.00 if they declared a fugitive free or $10.00 if they decided the person had to be returned to the slave states. As the federal government was now putting financial resources into the capture of slaves, many in the North saw the new law as essentially immoral. And the apparent corruption built into the law also raised the reasonable fear that free blacks in the North would be seized, accused of being fugitive slaves, and sent to slave states where they had never lived. The 1850 law, instead of reducing tensions over slavery, actually inflamed them. The author Harriet Beecher Stowe was inspired by the law to write Uncle Tom's Cabin. In her landmark novel, the action does not only take place in the slave states, but also in the North, where the horrors of slavery were beginning to intrude. Resistance to the law created many incidents, some of them fairly notable. In 1851, a Maryland slave owner, seeking to use the law to gain the return of slaves, was shot dead in an incident in Pennsylvania. In 1854 a fugitive slave seized in Boston, Anthony Burns, was returned to slavery but not before mass protests sought to block the actions of federal troops. Activists of the Underground Railroad had been helping slaves escape to freedom in the North before the passage of the Fugitive Slave Act. And when the new law was enacted it made helping slaves a violation of federal law. Although the law was conceived as an effort to preserve the Union, citizens of southern states felt the law was not enforced vigorously, and that may have only intensified the desire of southern states to secede. Why Was the Seventh of March Speech so Controversial?